Prevention is always better than cure. 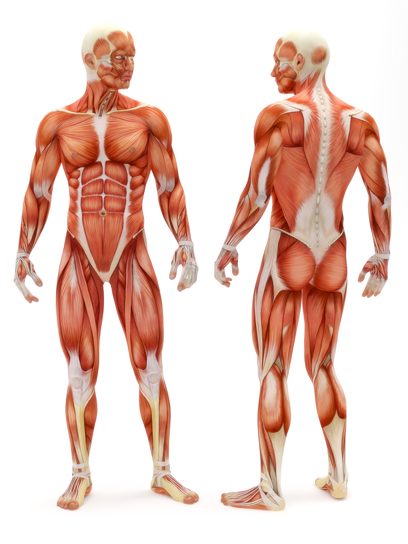 By means of analysis, evaluation, implementation of preventative exercises and/or treatments and education, we try and prevent injuries and conditions arising in order for the client to not have to go through the trouble of having an injury and then having to go through the whole rehabilitation process. Pulmonary treatments, or commonly known as chest-physiotherapy, is done to enhance the breathing and ventilation of the lungs through inderectly ridding the lungs and ventilation passages of mucus and/or other substances preventing the full functioning of the lungs. This is done by means of hands-on therapy (percussions etc.) and by administaring medication to help decrease the viscosity of the mucus. Biomechanics can be devided into two sections, namely kinetics and kinematics. Kinetics is by definition the study of forces acting on mechanisms and how these forces produce or change motion and/or direction of motion. Kinematics on the other hand is the study of the motion of a body, or a group of bodies, without taking into consideration the forces applied to the specific body/bodies. The aim for physiotherapy is always to ensure the return to the highest quality of everyday functionality. In the unfortunate case that a client has indeed incured an injury, being chronic or traumatic, we strive to ensure the client returns to their everyday activity in a better position as to when the injury occurred. This is done by means of hands-on therapy, electrotherapy, exercising and education. Whilst growing up on a farm in the North Eastern Free State, I had always dreamt of becoming a doctor. Upmarket medical suites to rent in Melville for a biokineticist, speech therapist, occupational therapist, or other allied health providers. Premises currently host a chiropractor, psychologist, physiotherapist and podiatrist. Fully equipped gym (personal trainers available) and pilates studio on site. Rental includes receptionist, WiFi, cosy reception area. Coffee shop, pastry chef and lecture/function facilities also on site. Secure off-street parking with soon to be completed automated gate available for tenants and clients. Security services and alarm system installed.